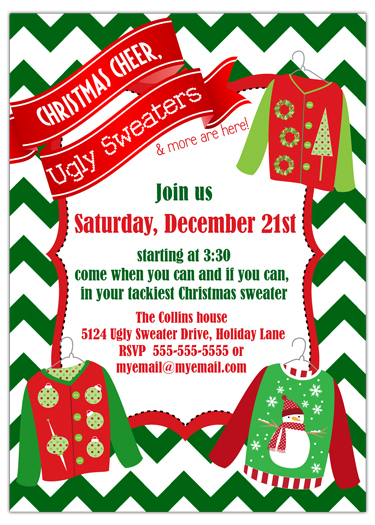 Time to pull out those ugly sweater out the closet and enjoy the party. Before the party invite your family, friends, coworks, and more with this Ugly Sweater Chevron Holiday Party Invitation. Personalize it with custom text to fit your party and get the party started.